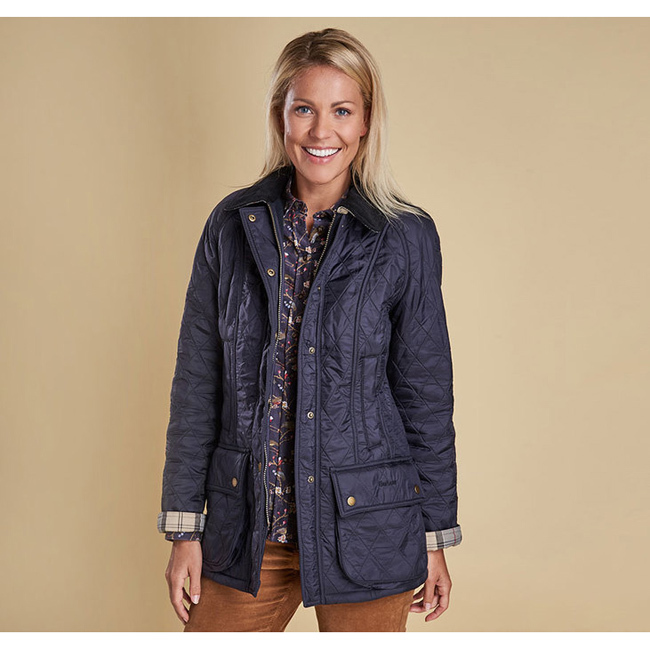 The warmth and practicality of the Polarquilt is given a new stylish twist with the feminine Beadnell shape - complete with two patch pockets, two waist-height hand warmer pockets and the corduroy collar with stud-close storm flap. With an elegant, shaped fit and a two-way branded ring-pull zip, the jacket is comfortable and versatile. A warm fleece inner lining ensures warmth in colder weather. Ideal layered over shirts and knitwear also from the Country collection, the Beadnell Polarquilt is available in three colours. Arrived on time and as described, it's is cut a little small.